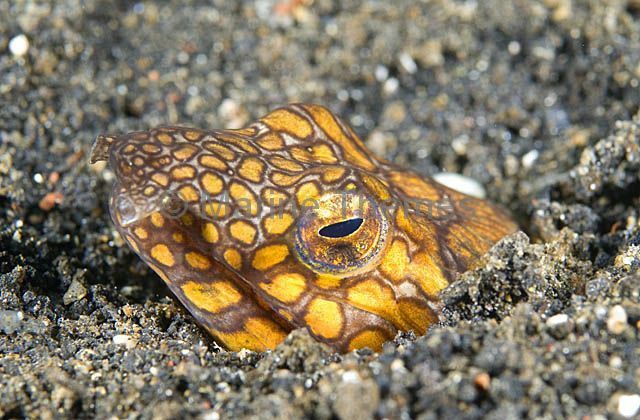 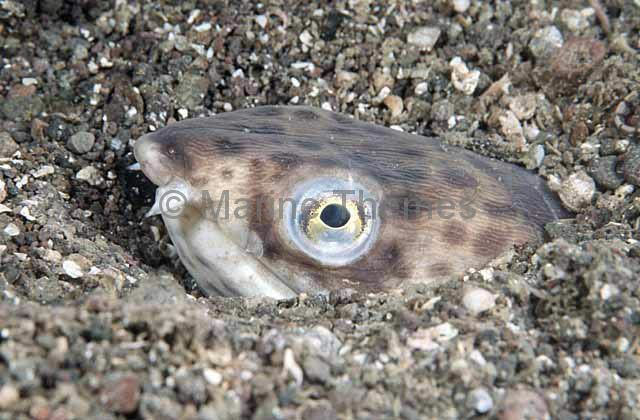 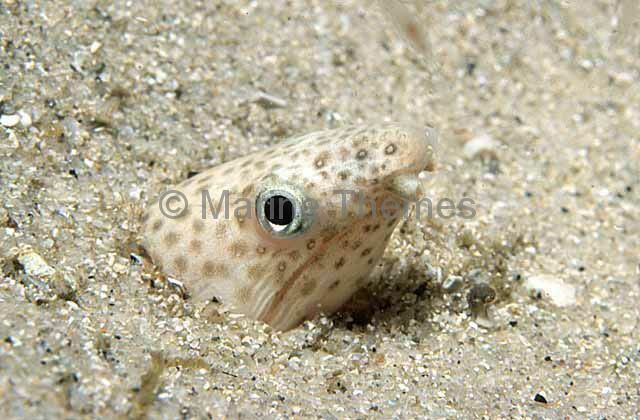 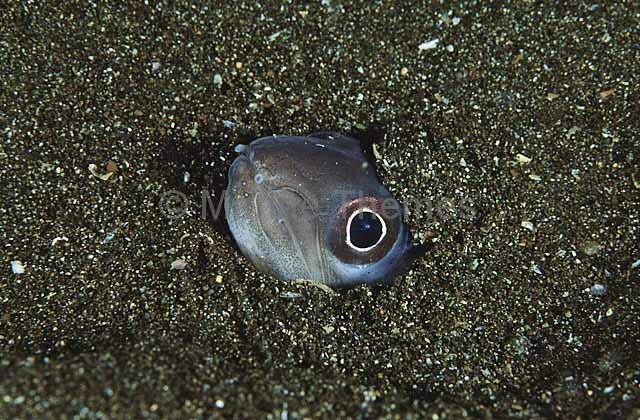 Cliff's Snake Eel (Callechelys cliffi) in sand burrow. 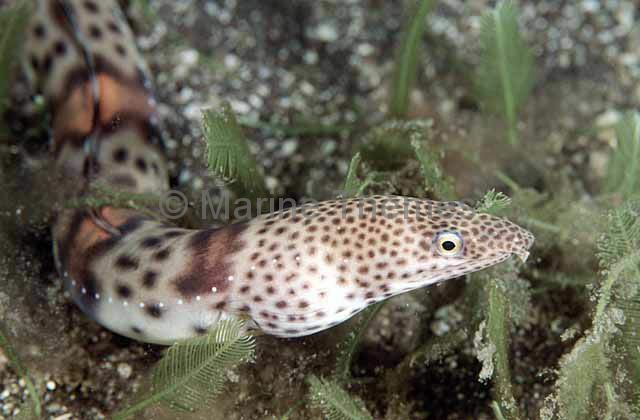 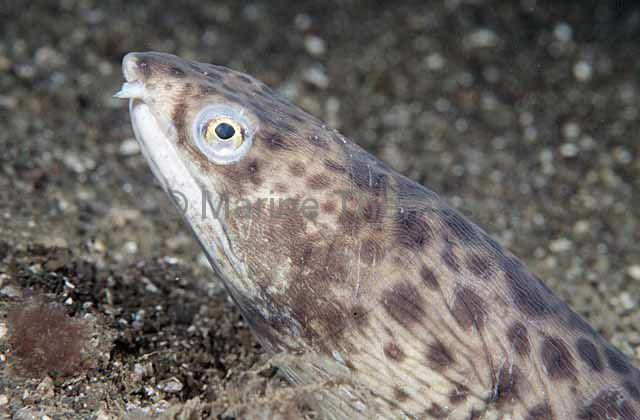 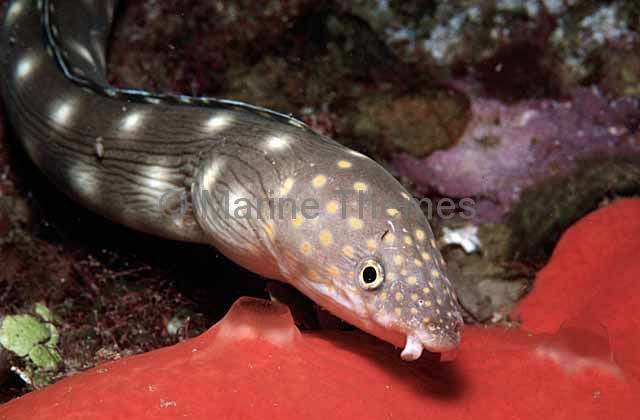 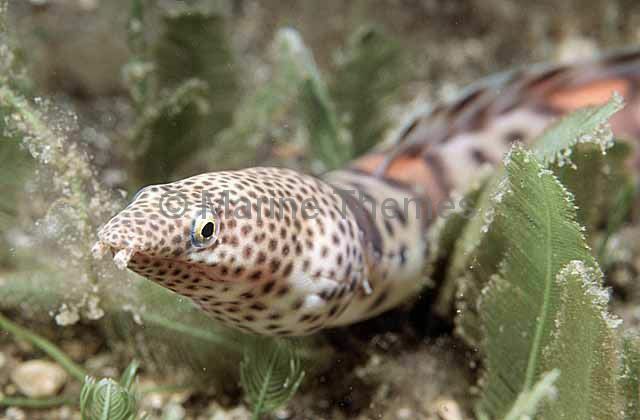 Sharptail Eel (Myrichthys breviceps) foraging over sea bed at night. 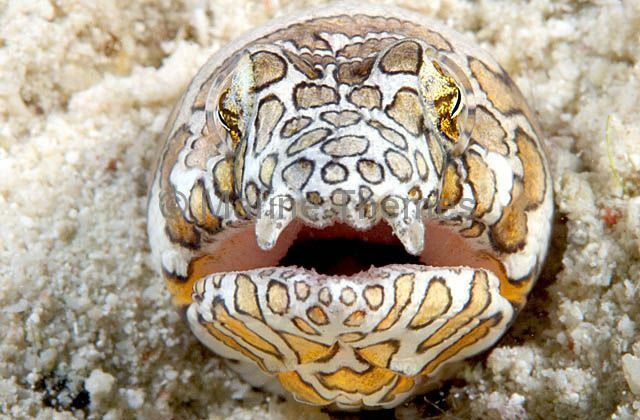 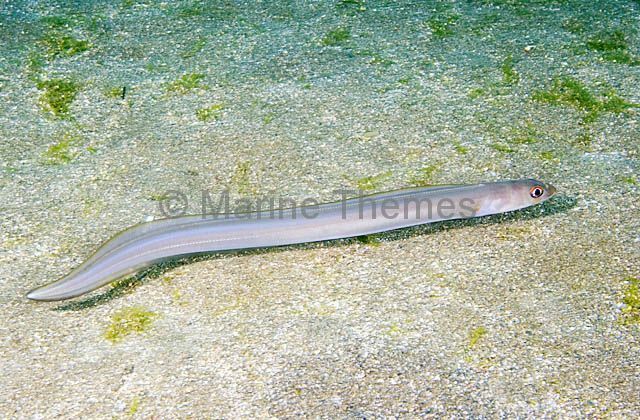 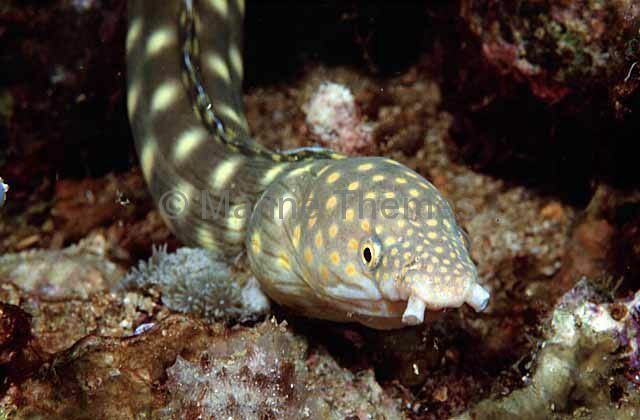 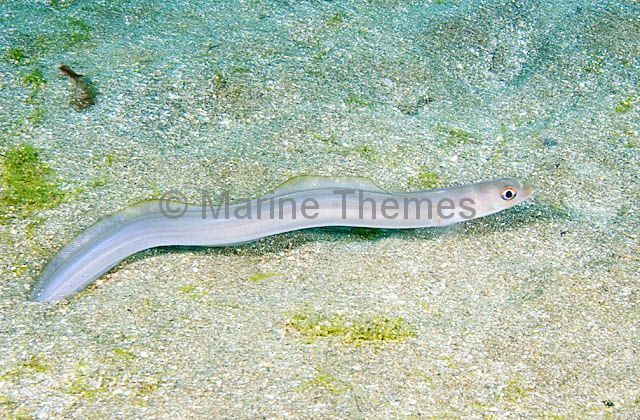 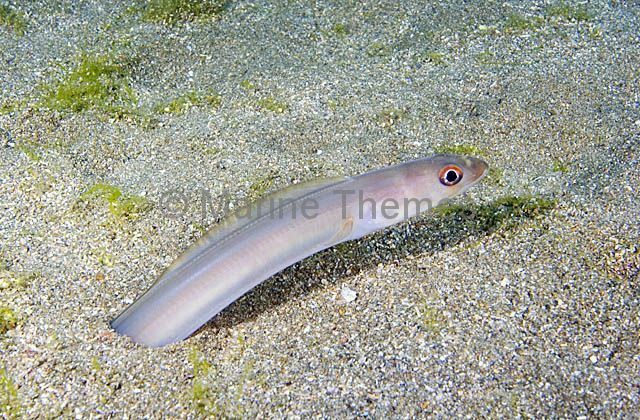 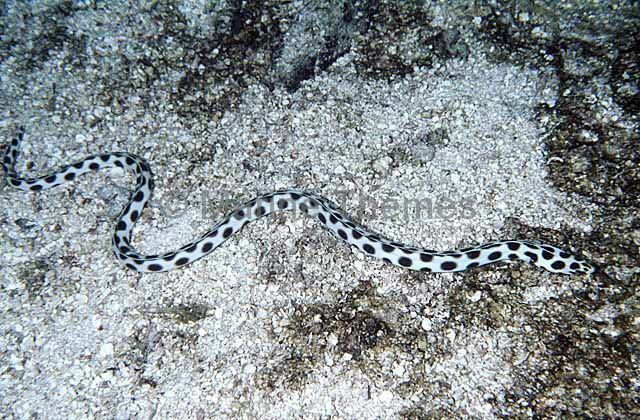 Napoleon Snake Eel (Ophichthus bonaparti) emerging from burrow in sand. 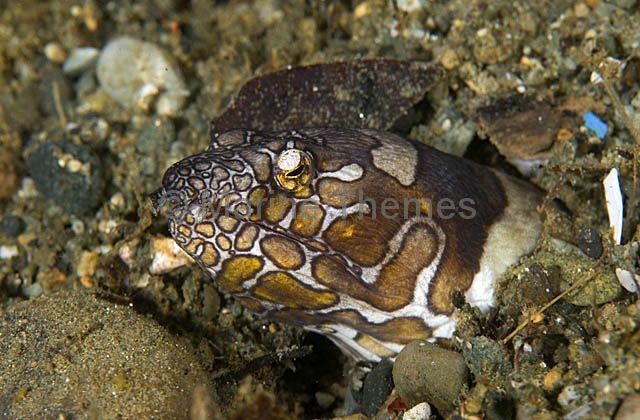 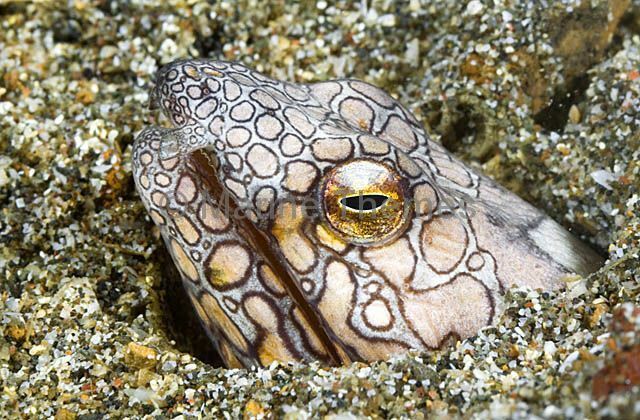 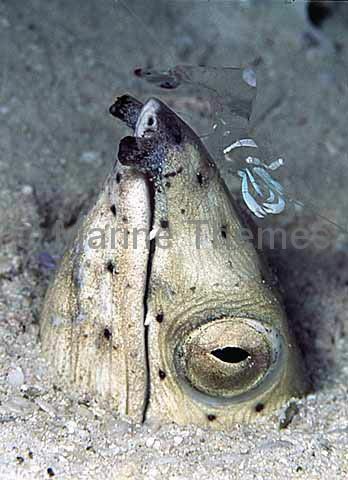 Napoleon Snake Eel (Ophichthus bonaparti) Ambush hunter, watching from it's burrow for passing prey. 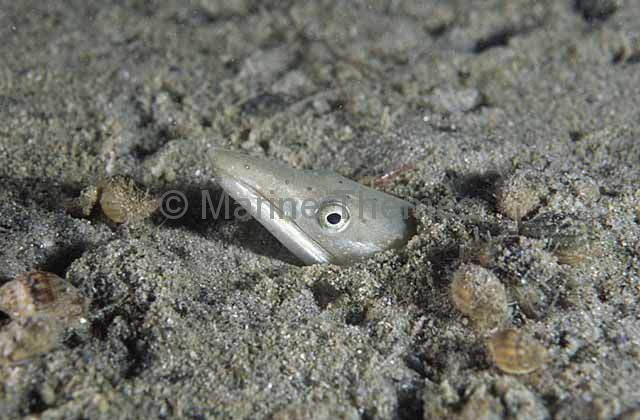 Sea Conger (Ariosoma anagoides) emerging from sand burrow. 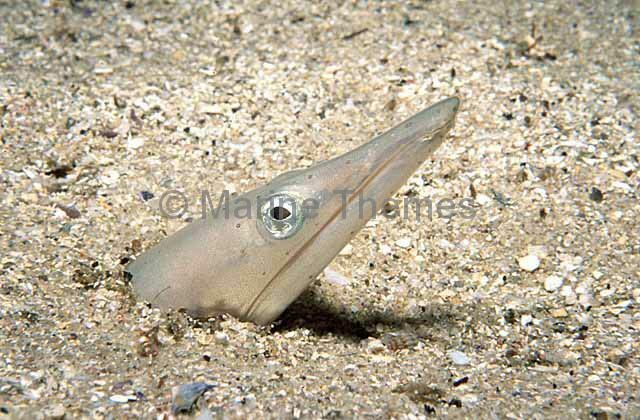 Sea Conger (Ariosoma anagoides) swimming out of it's burrow above sandy sea bed. 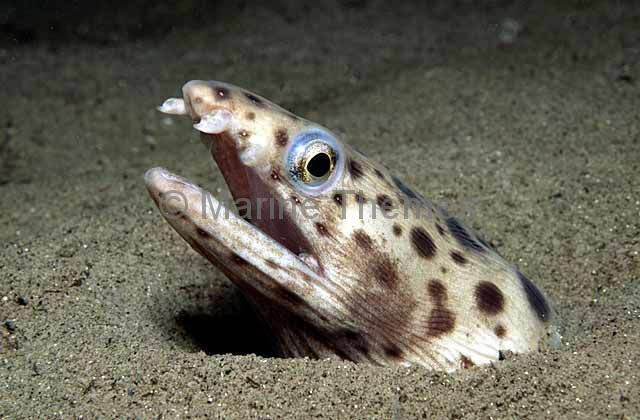 Sea Conger (Ariosoma anagoides) digging into sea bed to create burrow by reversing into the sand.